First impressions are so important, the saying goes, and it holds true for new residents moving into a long-term care home. The first 24 hours sets the stage for success or failure and can even impact the home’s future census, says Lois Baer, Administrator and RN, Director of Clinical and Regulatory Compliance at LeadingAge Oklahoma (LAO). “If it doesn’t go well, the resident and family members are going to question whether they’ve made a good choice … it can magnify minor issues that may come up later,” she adds. The staff should provide a warm welcome and begin to build a relationship with both the resident and family, she says. “If you are attentive to the resident and family needs and make the resident and family comfortable with their choice, you can feel the stress in the room lessen,” she says. “One of the most important things to tell staff is to support individualized care from the very first day and ‘think about what would make you feel more comfortable if you were that resident’,” she says. Preparation begins well before admission: Get as much of the resident’s history as possible before arrival, Baer advises. What are her preferences, rituals, daily pleasures and schedules? What is her personality and, if she’s moving into a semi-private room, who is a good match as a roommate? Also obtain the resident’s “functionality status” so that the appropriate assistance can be assured each time the resident needs help. That information must be shared with on-coming staff to help prevent falls and other risks. Let the family know ahead of time that they can bring pictures and other items to personalize the resident’s room, says Baer. 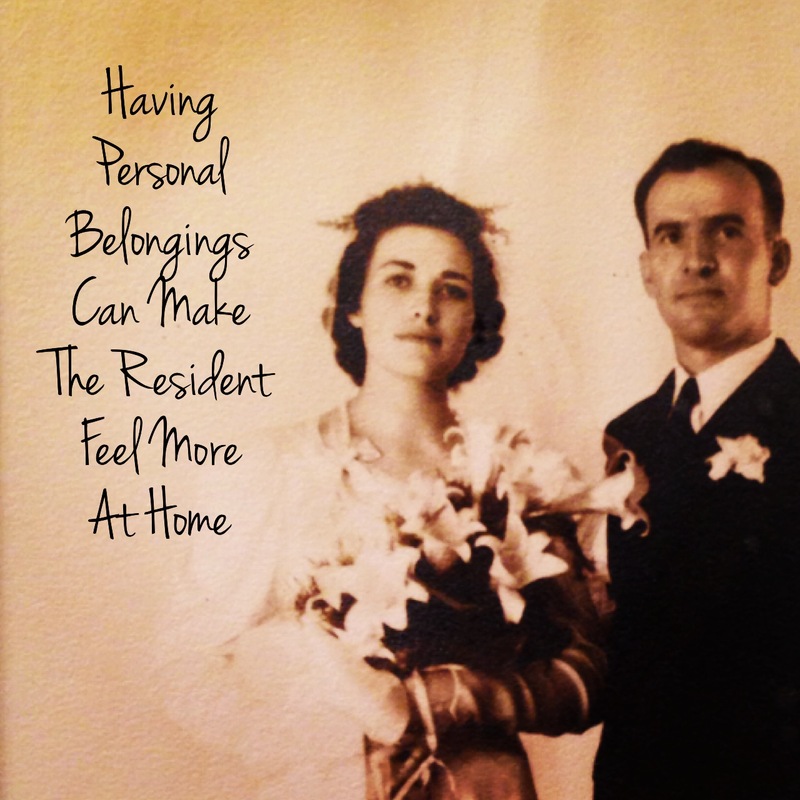 Having personal belongings can help the resident feel more at home. At a care center in Edmond, OK, where Baer was Administrator, an admissions coordinator goes to the referring facility to interview the incoming resident and family members before the transfer is made. Critical information is shared with care center staff in advance. A resident care coordinator fills a gift basket for the resident with a welcoming card signed by the staff, shampoo, powder, deodorant, toothbrush, toothpaste, comb, brush, a large enclosed, beverage mug with a straw, and a gift card redeemable at the care center’s hair salon. The coordinator also does a last minute check of the resident’s room to ensure it is presentable. The resident care coordinator is “the glue that pulls the whole team together,” says Baer. Upon the resident’s arrival, often with family members, the coordinator serves as their liaison with staff. A welcoming committee including the administrator, floor nurse and C.N.A. greets the new arrivals. Management and members of the care team should introduce themselves and explain their duties within the first 24 hours, say Baer. Consistent staffing reassures the resident and family that the elder “is not going to be handed over day after day, shift after shift to unfamiliar staff,” she says. Most importantly, the new resident is welcomed into her new family at the care center. The coordinator ensures that all the family members have a place to sit and are comfortable, and offers refreshments. After introductions, the resident and family are offered a tour of the home or, if they prefer, are taken to their room. The resident care coordinator stops by the room a little while after admission to ensure all is well. Clear communication and well-defined roles and assignments for staff are critical in making the new residents feel at home and in good hands, she says. And, it reassures caregivers. Information about the resident and clarity about their duties prevents staff’s needlessly “scrambling around and duplication so that two or three people aren’t doing the same thing you just did,” she says. Updates about the resident’s conditions, needs and moods are shared among staff and all shifts during morning and afternoon “standups” and in team huddles. “So when new staff come in for the next shift they’re already familiar with it … they know, for example, to bring coffee with cream promptly at 2 p.m. because that’s when and how the resident wants it,” says Baer. How important are these efforts, really? They’re critical, says Baer. At the care center where she worked, short-term rehab residents often chose to come back after subsequent surgeries because they remember how they had been treated in the initial 24 hours. “That’s a sure sign of success,” says Baer.